Judge Eva Fwae Wun: Mr. Hingly? Judge Eva Fwae Wun: You may proceed with your defense. Duane: [whispering to Nelson] Watch this. Duane: Ladies and gentlemen of the jury. You've all seen Jurassic Park, and yet you are aware that Jeff Goldblum have never actually been attacked by dinosaurs. Even through you've seen it with your own eyes, on a T.V. not unlike that one. Duane: I rest my case! 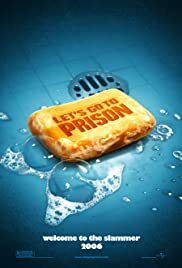 Let's Go To Prison was a sleeper hit for the 2006 movie season. It came out in November of that year and really didn't start to air previews or TV spots until late October, so a lot of people really didn't expect it. It starred Dax Shepard and Will Arnett. This was the first big gig for Will Arnett and it really scored for him. This movie really is entertaining in the since that it always has something going on. The whole plot was put together very well and had a great form around the prison lifestyle. 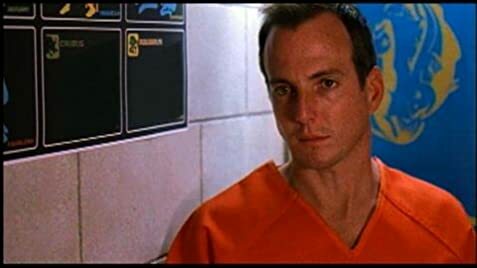 Dax Shepard does extremely well as John Lyshitski and Will Arnett gives a Grade A performance as Nelson Biederman IV. I have to say that this is a must see for all comedy genre fans.